High quality newest Android head unit for BMW 5 series F10, BMW F11 including models BMW 520d, BMW 525d, BMW 530d, BMW 528i, BMW 523i, BMW 535xi, BMW 535i, BMW 550i, BMW 518d, etc. FREE Gift: 8GB SD card with GPS maps available around the world. 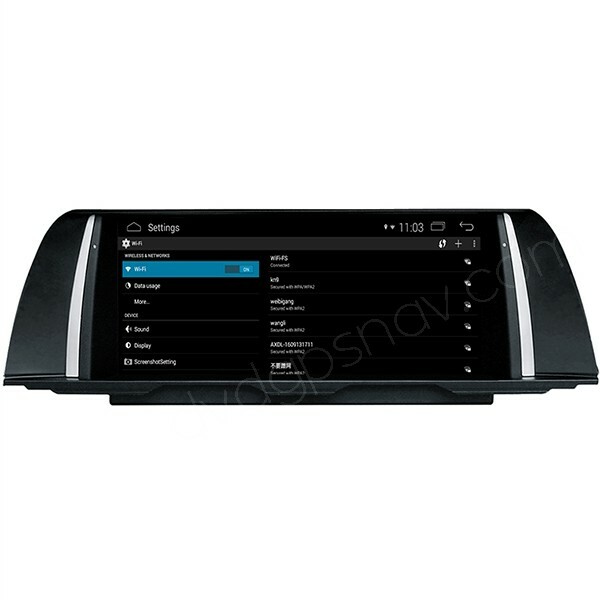 Good news, this BMW F10 Android head unit has been upgraded with Android 7.1 system, 32GB+2GB now. 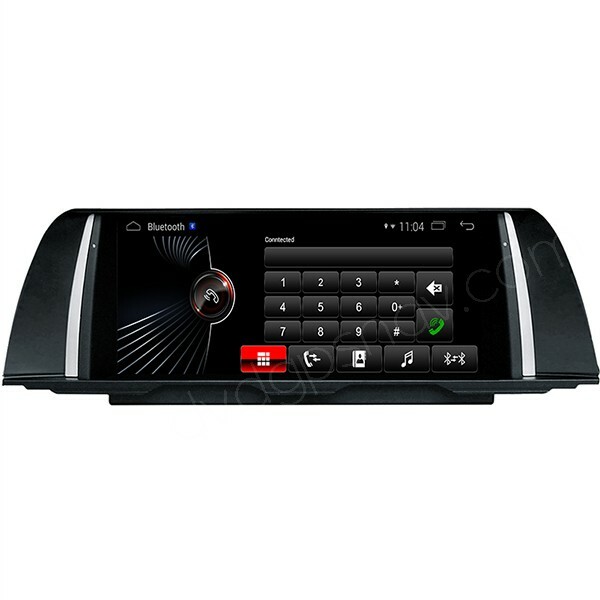 High quality newest Android head unit for BMW 5 series F10, BMW F11 including models BMW 520d, BMW 525d, BMW 530d, BMW 528i, BMW 523i, BMW 535xi, BMW 535i, BMW 550i, BMW 518d, etc. 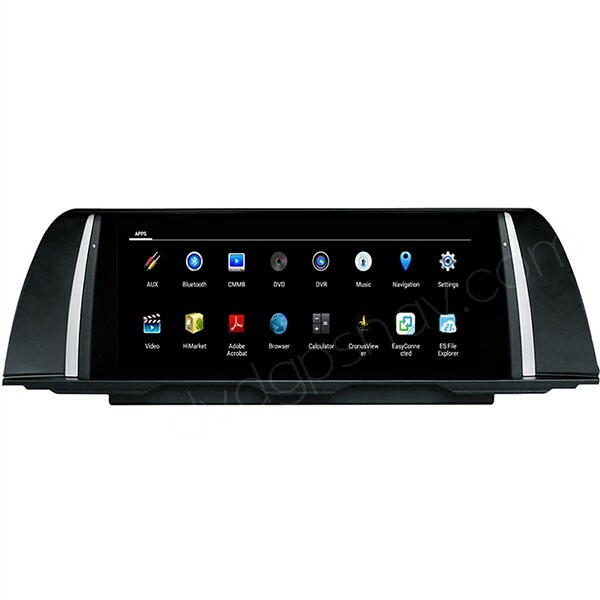 The new Android BMW F10 F11 navigation unit comes with 10.25 inch large high definition capacitive screen, sensitive with your finger for touch screen. 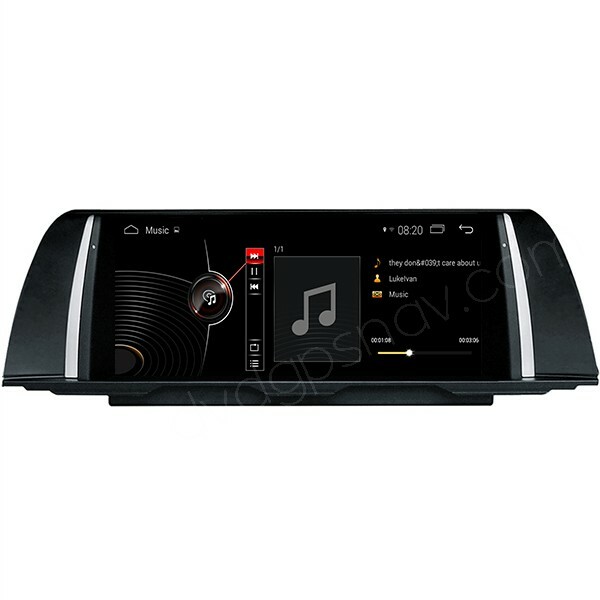 It keeps factory BMW F10 radio and CD player working after installation, an external one din DVD player is optional(+$60USD). If you need new ID6 UI as above, please leave a message to us, so that we will preset it for you before the shipment, this can be done in factory settings. For BMW F10 2010, 2011 and 2012 year model, the connector from the back of factory screen is 4 pins, we will send you the BMW F10 head unit with 4 pins connectors to you; For BMW F10 2013, 2014 and 2015 year model, the connector from the back of factory screen is 6 pins, we will send you the F10 android navigation unit with 6 pins connectors at back. I bought this head unit as my car came with a small screen and no sat nav. The product arrived the very next day (I live in Hong Kong and it comes from China) . I read up on you tube about how to fit it as I have zero experience of fitting this sort of thing myself and thought it would be very complicated. I fitted it in ok and it was very straightforward but I had no sound and the original idrive screen wouldn’t work. I emailed (Sarah) there tech support and straightaway she sent further photos and instructions so I could check how I had connected it up. Turns out I hadn’t moved the two fibre optic cables to the correct position. Once I had done that everything worked like a dream! Q: I'm requesting further information regarding following product: 10.25 inch Android BMW F10 F11 Head Unit Navigation GPS System Bluetooth Hands Free A2DP Quad-Cores 16GB 1280*480 Touch screen and it's connectivity to trunk handle rear view camera. How camera actually works, I've automatic transmission so will camera feed turn on automatically when turning to reserve gear or do I've to manually switch on camera from screen/panel controls? 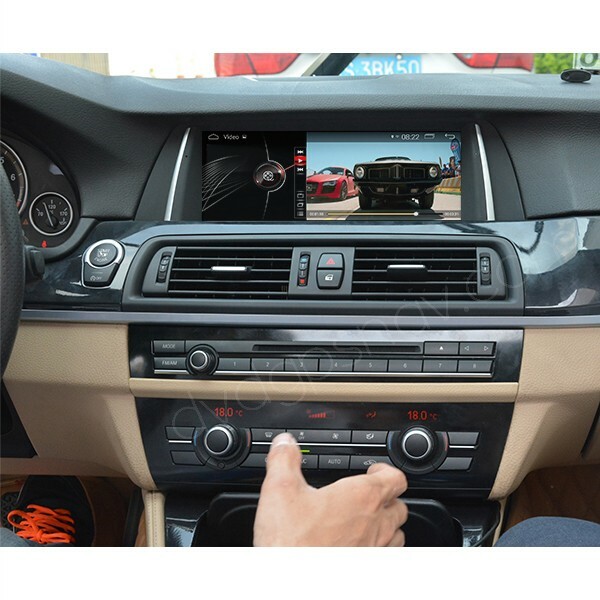 A: Hi, this head unit for BMW F10 can connect that trunk handle rear camera, it will automatically switch after you put in reverse gear. By the way, for BMW f10 installing this camera, you may need to add a relay for power to get it working properly.